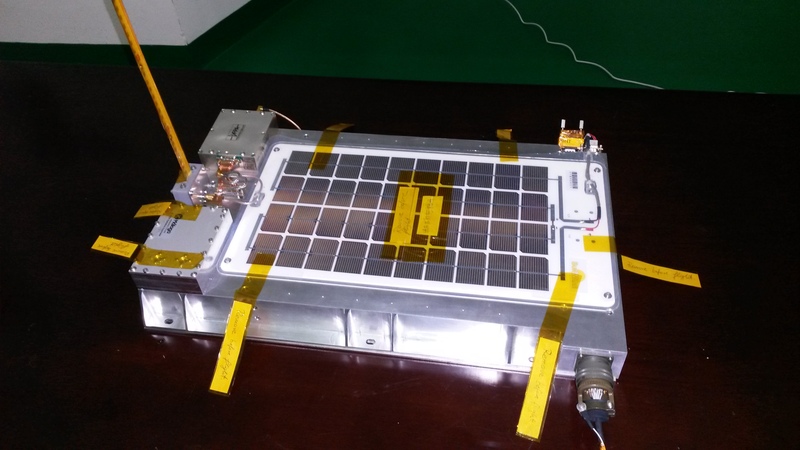 On October 25 Ghislain Ruy LX2RG provided this update on the 4M lunar amateur radio payload. Signals from 4M are quite weak. This is not due to a loss of power as telemetry shows normal parameters, but to the attitude of the last stage that places a deep of the radiation pattern in the direction of the Earth. I hope that Earth’s movement with respect to the inertial attitude of the last stage will give better results in the coming days. The 4M is becoming a real challenge now, and receiving the signals during flyby will be quite an achievement. A little bit away from the original goal though, but this risk was known. One sure result is the radiation measurement that showed what was to be expected, and the graphs will soon be pubished on the blog. I hope you will be able to receive during the AMSAT-DL AGM this weekend, but you will have to put 16+dB [antenna] gain at least.